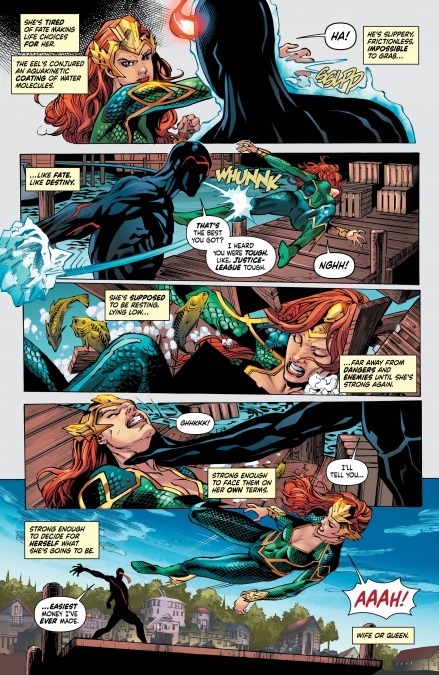 Posted on November 20, 2014 by thelostlighthouse	in Comics and tagged Aquaman, comics, comics reviews, David Finch, DC, DC comics, Diana, God of War, Literature, Meredith Finch, Paradise Island, Swamp Thing, The Lost Lighthouse, TLL, Wonder Woman. This week saw the first issue of the new creative team on DC’s monthly Wonder Woman series, written by Meredith Finch and illustrated by her husband David Finch, inks from Richard Friend, colours by Sonia Oback and letters from Sal Cipriano. After an extremely popular 35-issue run from Brian Azzarello and Cliff Chiang, deservedly popular I should say, a lot of people were dismayed to see that they were leaving the book and were apprehensive of what would come next. Diana is spinning multiple very important plates right now. 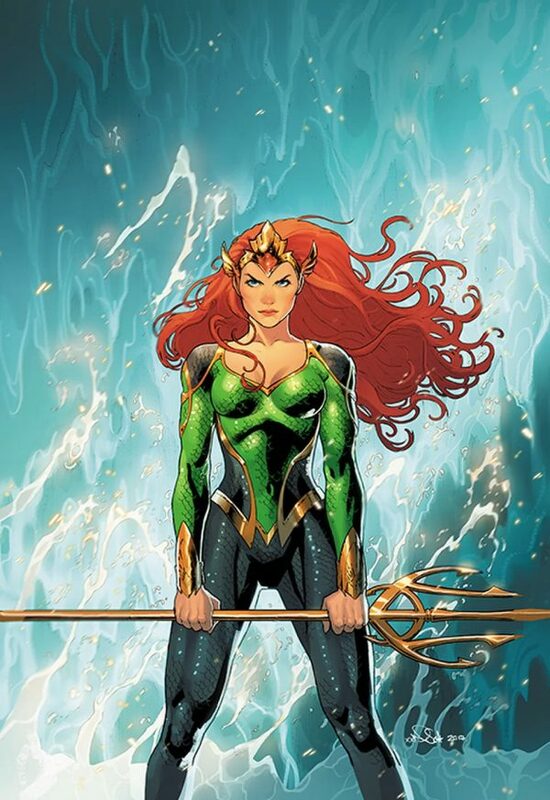 Queen of the Amazons, Justice League member and God of War, she’s doing well. She’s a pretty big deal. The trouble is, she feels that by having her attention divided between all of them means that it is impossible to give any role the full effort that it requires. So when some extreme environmental events lead to flash floods that cause entire villages to vanish without a trace, Wonder Woman and the Justice League head out to investigate. Diana flies off the handle, immediately attacking Swamp Thing who they find on the scene, assuming he is to blame as lush vegetation has grown quickly in place of a village and it’s populace. The situation is dissolved, with some help from Aquaman (unintentional comics pun), with both parties continuing their investigation. Diana finally heads back to Paradise Island, to check on the situation with her Amazon sisters and recently revealed brothers and to try and dissipate the tension, but the presumably supernatural water events have taken a terrible and personal toll at the island. It is difficult to comment on this issue without comparing it to what came before, but I will try and keep the comparisons light. The story here is interesting, and doesn’t forget the events that led up to the issue, and I like the idea of Diana being torn between all of her responsibilities. The problem is she actually comes across quite weak, rather than the strong-willed Amazonian warrior we are all used to. This is an issue with the characterisation, and is a heavy juxtaposition against Azzarello’s Wonder Woman, and even the character that appears in Superman/Wonder Woman or Justice League. Hopefully this is more first issue teething problems, and Meredith Finch will get a better handle on the character as the series continues, but it isn’t there yet. David Finch’s art varies quite a lot during the issue, with the few action pages looking great and the landscapes looking lush and full, but actual close ups and characters looking a little shaky. There is double page splash of several League members discussing the problem, and all their faces look a bit odd (with really tiny eyes). The main issue here really is how he is drawing Diana though. I know artists vary and bring their own interpretation to a character, it’s one of the most interesting parts in comics that I always enjoy. Wonder Woman here though looks like she is made out of glass, like a delicate teenager liable to shatter at any moment. This overly young appearance is most apparent in the face, where she seems to look like some sort of terrifying porcelain doll. I’ve been very negative here, but overall I did actually enjoy this issue. It was more the story I enjoyed however, as I felt the characterisation and art wavered quite a bit. While it isn’t fair to compare it to Azzarrello and Chiang’s run on the series, it would be remiss not to do so as DC really should ensure that they follow up such a strong and beloved run with something that can rival it rather than disappoint. Their Diana was strong and stoic, uncompromising and looking like she could take on the gods, regularly demonstrating that she could do just that. This is early days for this run though, and I am keen to see where the story goes and how Diana steps up to meet the challenge. I still think it is worth checking out for yourself, so pick it up at your LCS or digital comics platform. Posted on October 31, 2014 by thelostlighthouse	in Podcast and tagged Age of Ultron, Aquaman, Avengers, Avengers Age of Ultron trailer, Batman, Black Panther, Captain Marvel, Civil War, comics, DC, DC comics, Doctor Strange, films, Flash, Gamergate, Games Workshop, Justice League, Marvel, Marvel Phase 3, podcast, Ragnarok, Shia LaBeouf, Shia LaBoeuf, The Lost Lighthouse, The Weekly Argument, theweeklyrapture, TLL, tllpodcast, Wargaming, warhammer, Warhammer 40K, Weekly Argument, Weekly Rapture, Wonder Woman. This week we chat about the Avengers: Age of Ultron trailer, plot details for the new Terminator film, the awfulness of GamerGate and actual cannibal Shia LaBeouf, while Gary goes rogue on the Weekly Argument result and Adam tries to avoid relapsing back into Warhammer 40K. The main talking points this week was all the comic book movies coming out up to 2020, with the Marvel Phase 3 films announced this week and the DC movie slate released since the last podcast. We talk about the films and our general level of excitement for them, and the different approaches of the companies for their cinematic universes.